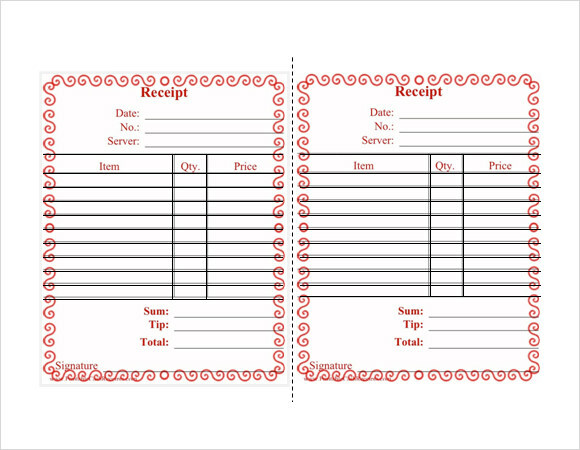 All restaurant owners need to give their guests a receipt at the end of the meal when receiving the bill amount. 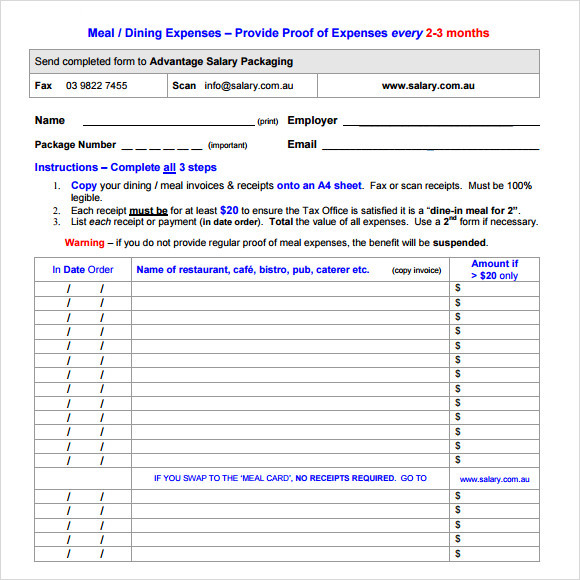 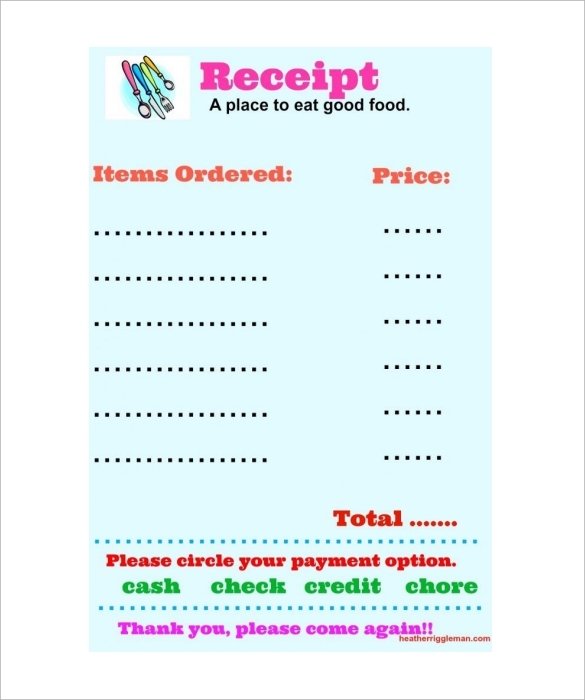 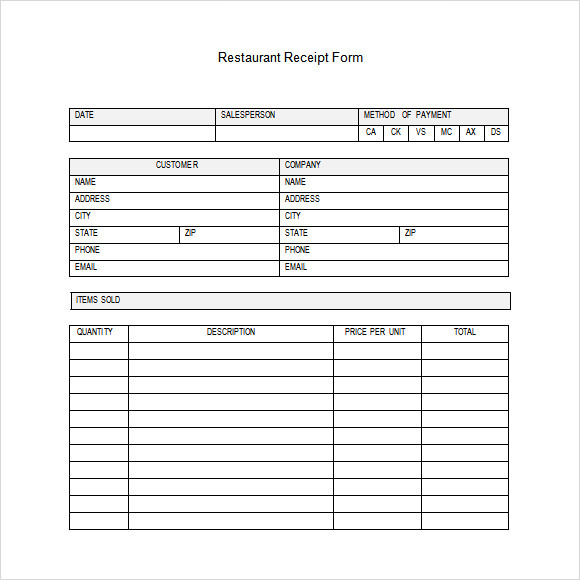 These receipts give all the details of the drinks and food consumed during the meal, and also the total amount of money spent on the meal.Download one of our free example templates today. 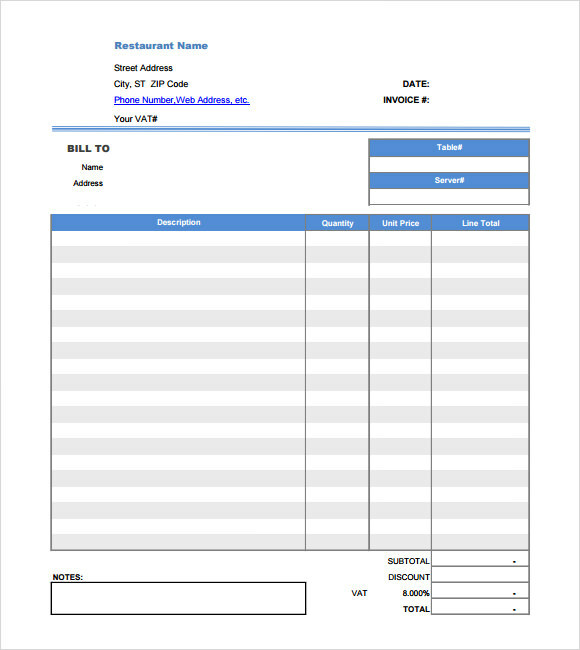 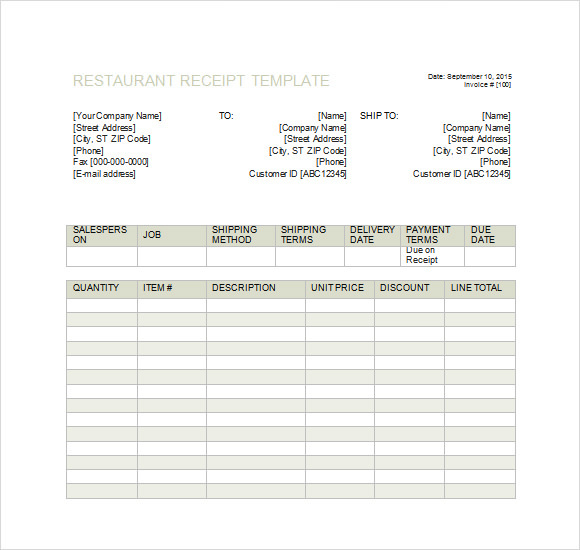 These Sample Receipt Templates come in a variety of formats, and are made just for restaurants and coffee shops. 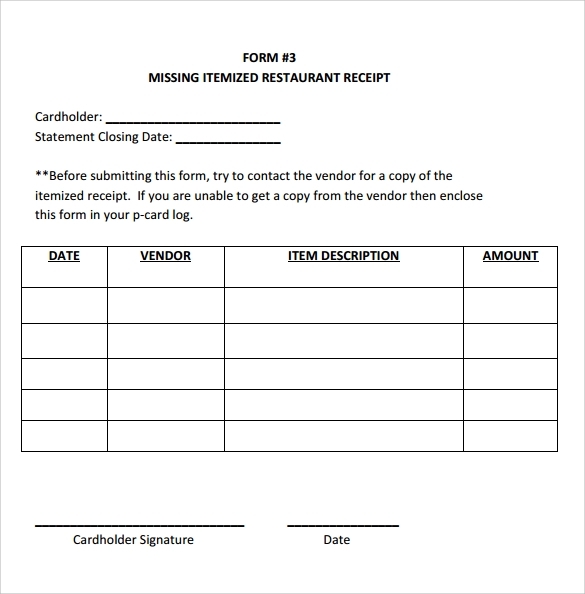 You can add additional information to these receipts like services provided, details of food and beverages consumed and other important data. 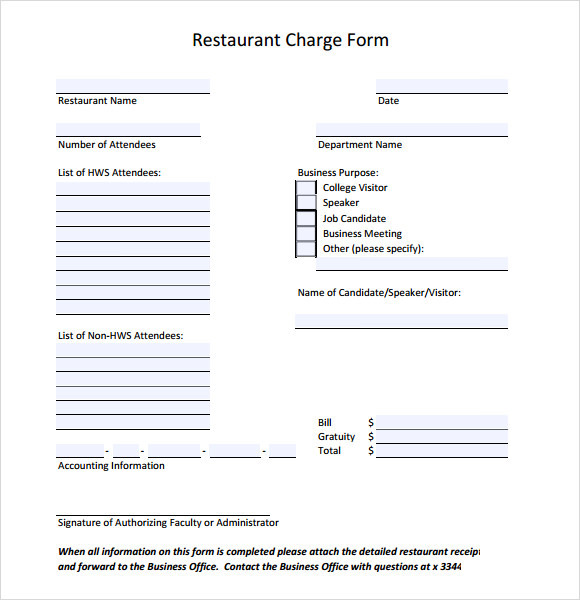 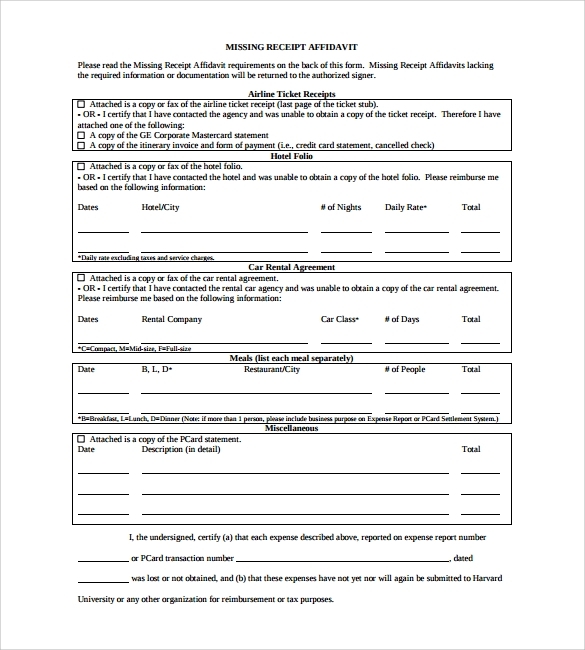 Select the sample of your choice, print it out and hand it over to your customer when they are ready to leave.